As of late June 2015, Disney’s The Little Mermaid is no longer playing in Branson. It is unknown at this time if or when it will return. Live in Branson and "Part of Your World," the Broadway version of Disney's The Little Mermaid is a fantastic piece of theater that will delight and awe the entire family; join Disney princess Ariel and her sidekicks, Flounder and Sebastian, "Under the Sea" as Ariel begins her quest to find her place in the world. Ariel spends her time collecting discarded human artifacts that fall into the sea. Alongside her friends, Flounder and Sebastian, Ariel wishes she could be part of the human world. When Prince Eric falls overboard from his ship, Ariel rescues him by dragging him to shore. After she falls in love with him, Ariel will make the ultimate sacrifice to join him on land. The show has beautiful production value. 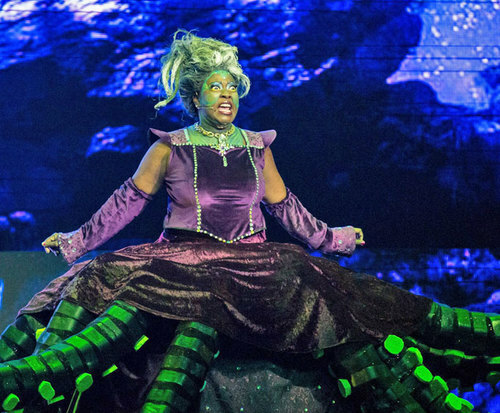 The costumes and lighting create a mystic vibe that will make you believe that you are actually under the water. As well as general admission, you can also opt in to enjoy breakfast and dinner with Ariel, Prince Eric, Flounder, and Sebastian; or to really feel like part of the show, get the VIP experience and meet the cast! 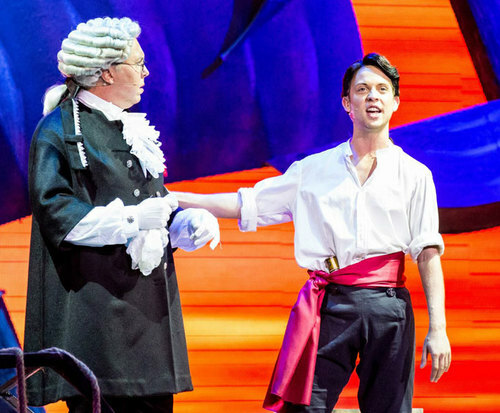 Produced by Country Club Entertainment, this adaptation of the 1989 film The Little Mermaid (by Christian Andersen) was written by Doug Wright and directed by Francesca Zambello. Alan Menken worked on the music, while Howard Ashman, who wrote the original lyrics for the film, and Glenn Slater worked on lyrics. In Denver, Colorado, the show sold out all six weeks of its pre-Broadway tryout. It began its first Broadway previews in November at the Lunt-Fontanne Theatre, and after much success, opened officially on January 10, 2008. After a run that included 685 performances and 50 previews, the show has begun its national tour and continues to wow audiences. Don't miss out on this taste of Broadway in Branson! 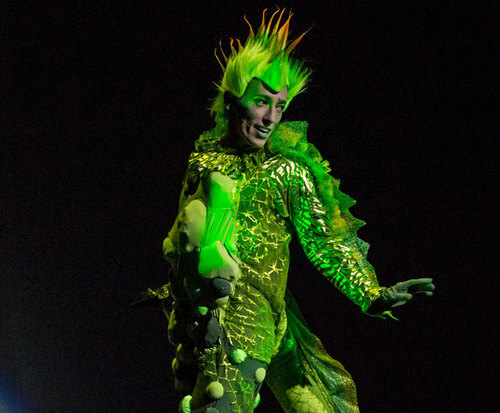 As one of Disney's greatest stories, The Little Mermaid is a family-friendly show sure to make all Disney fans go wild. Everyone will receive a garden salad and a dessert of a brownie drizzled with fudge and topped with a fresh strawberry. Little mermaid was excellent. I live here in the area, but my granddaughter is from texas and enjoyed it too. Our entire group loved the show. It was a great production with great voices.